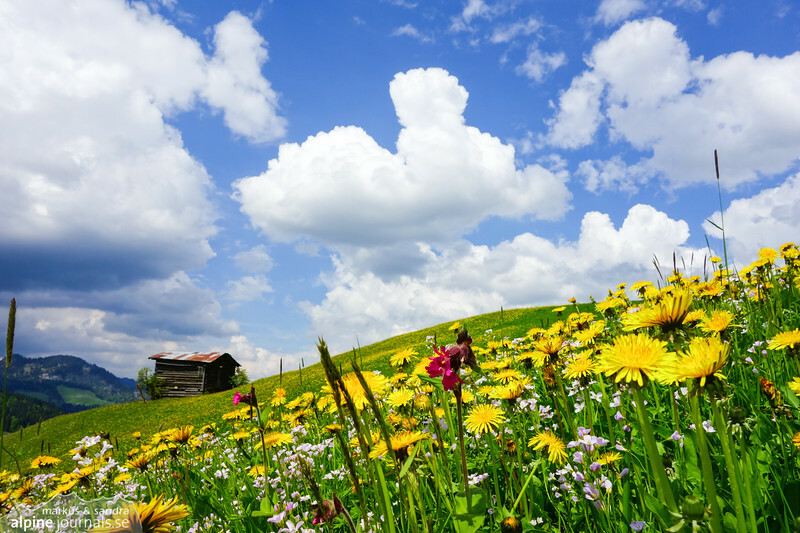 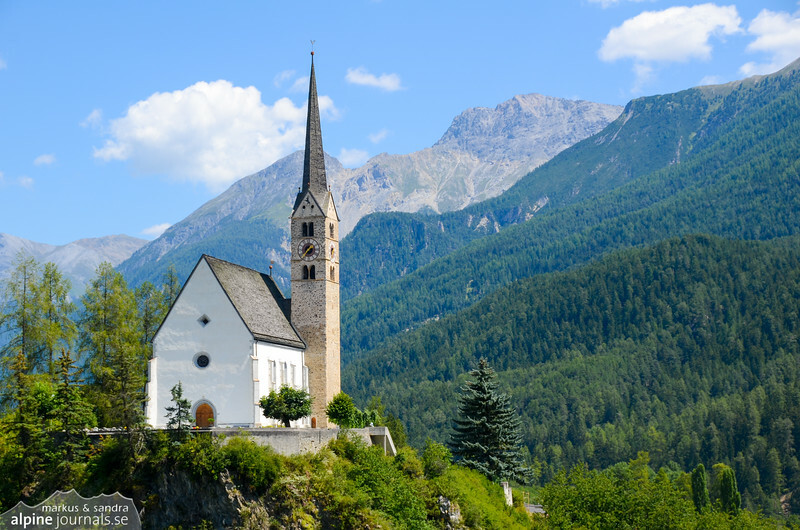 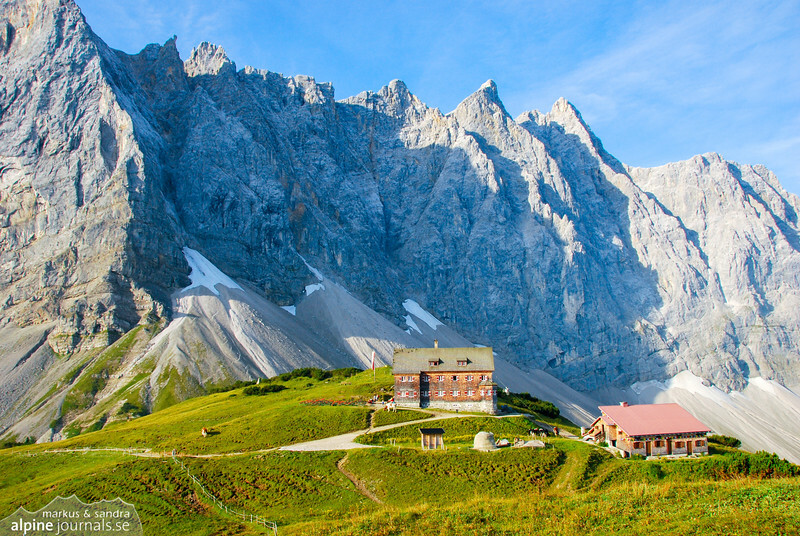 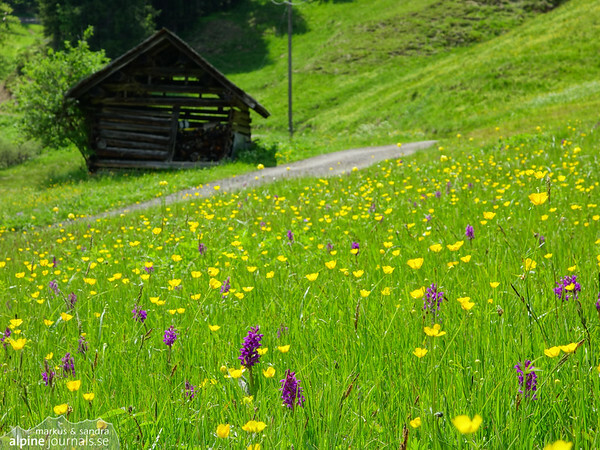 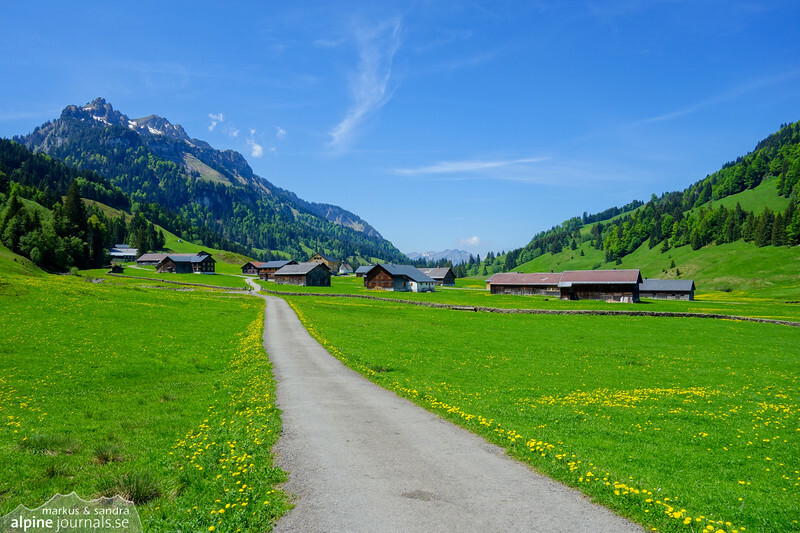 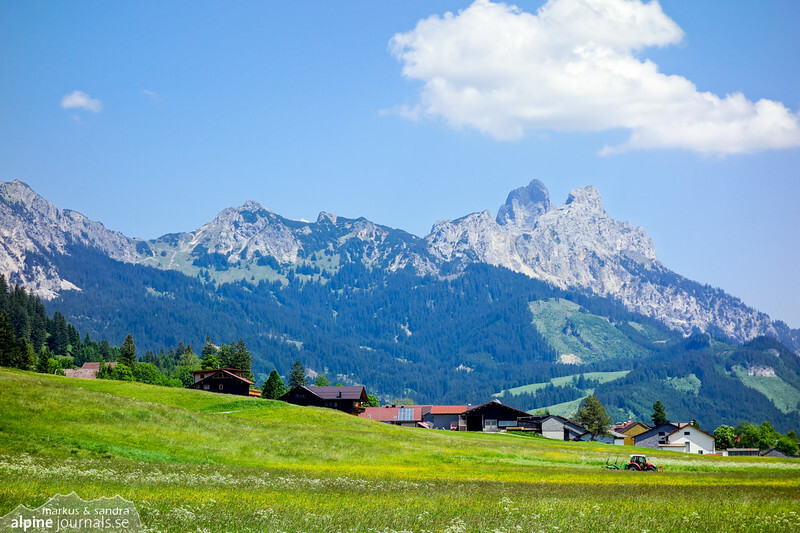 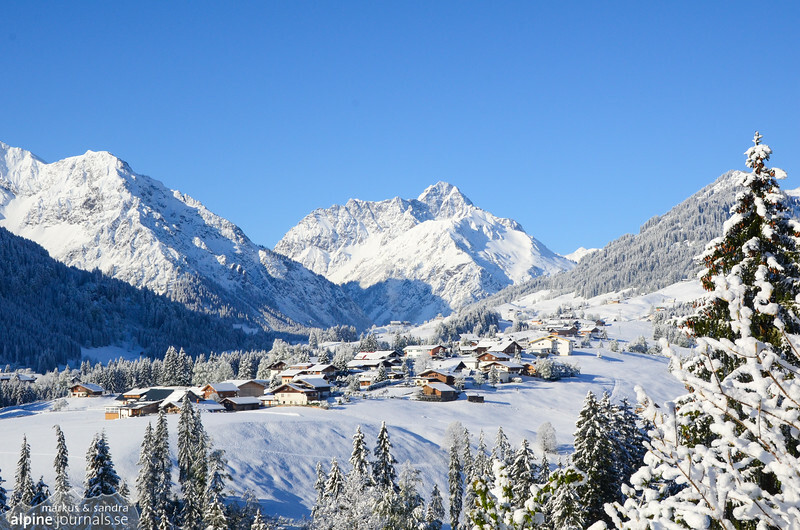 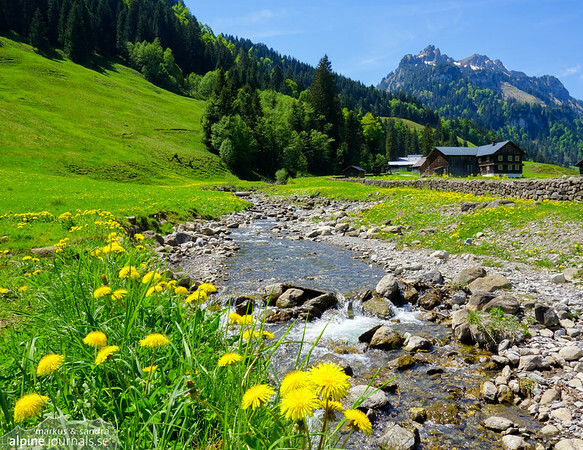 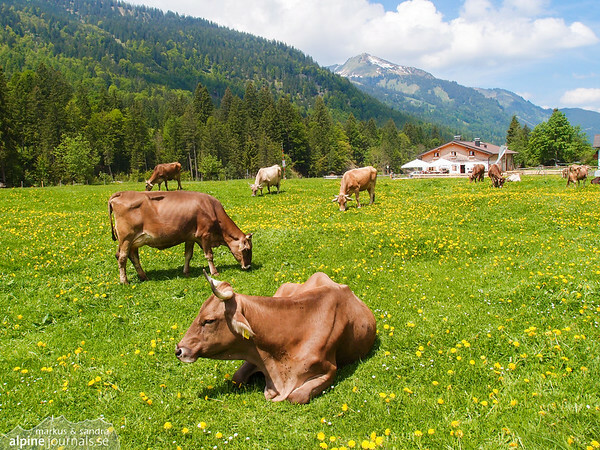 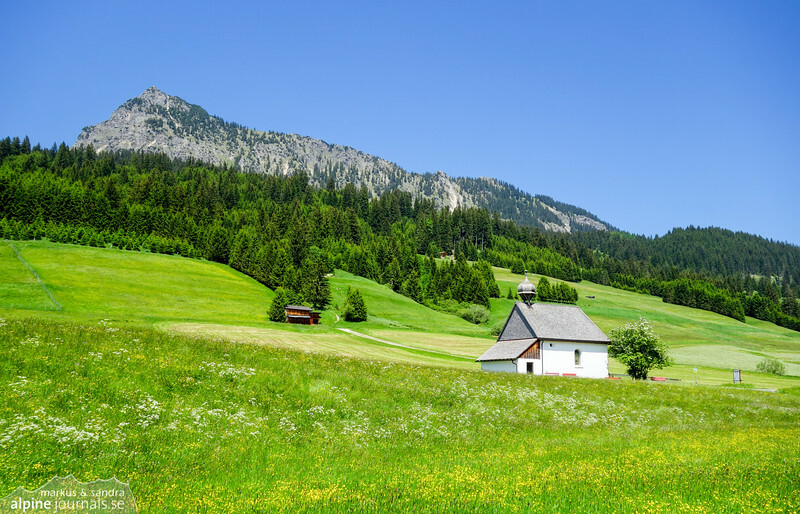 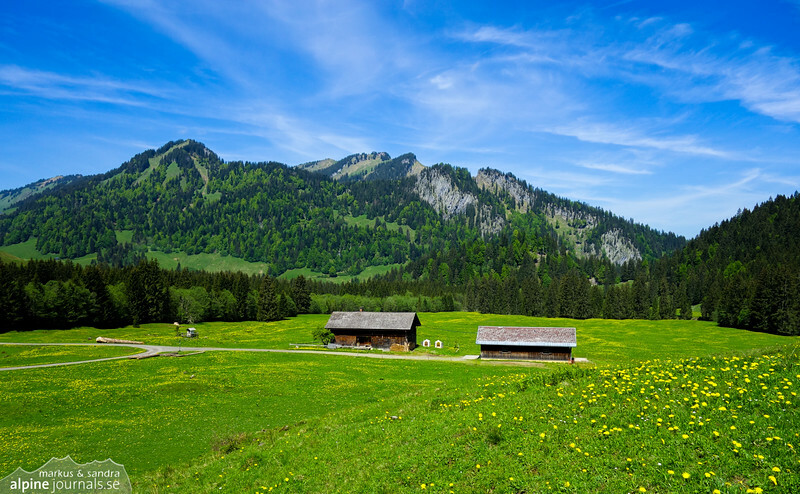 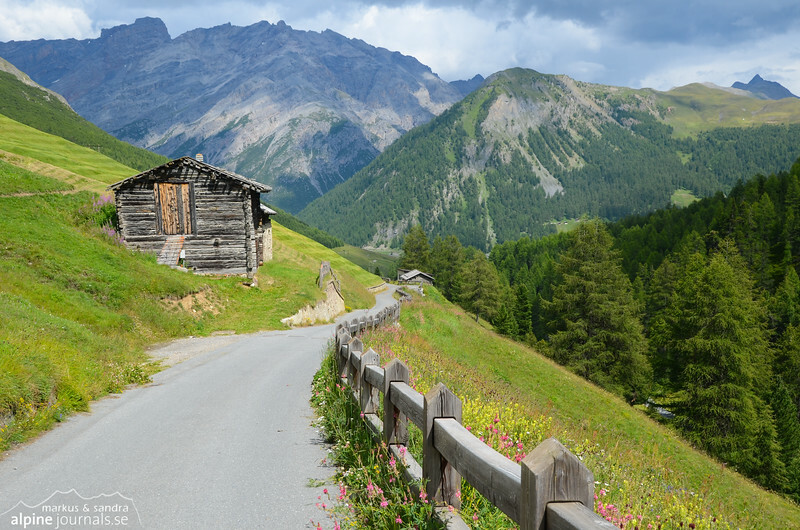 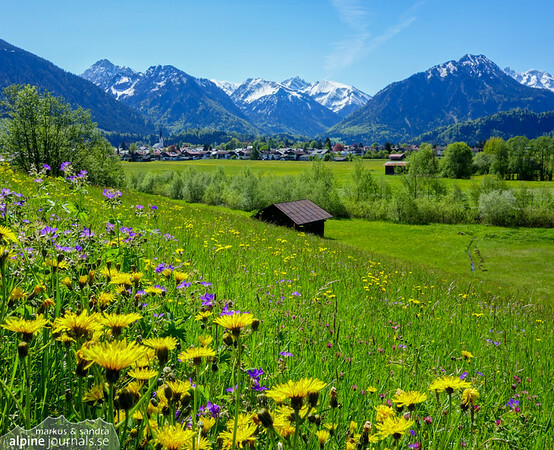 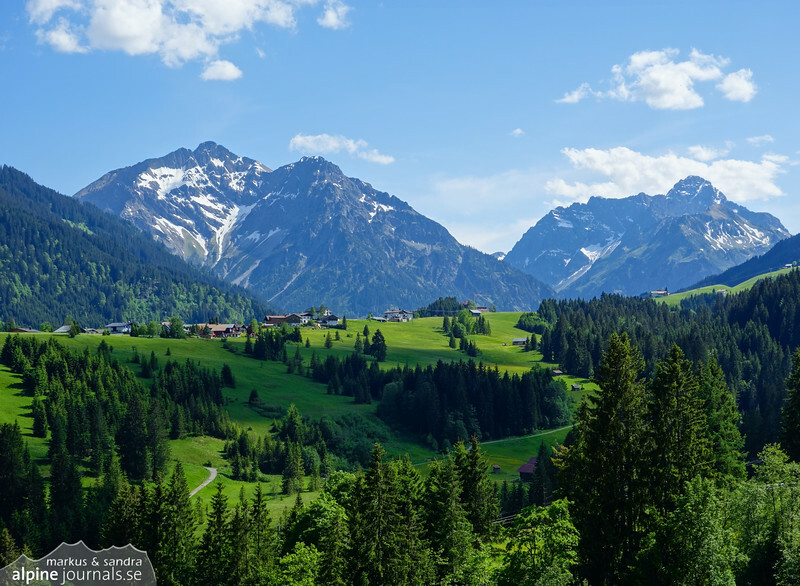 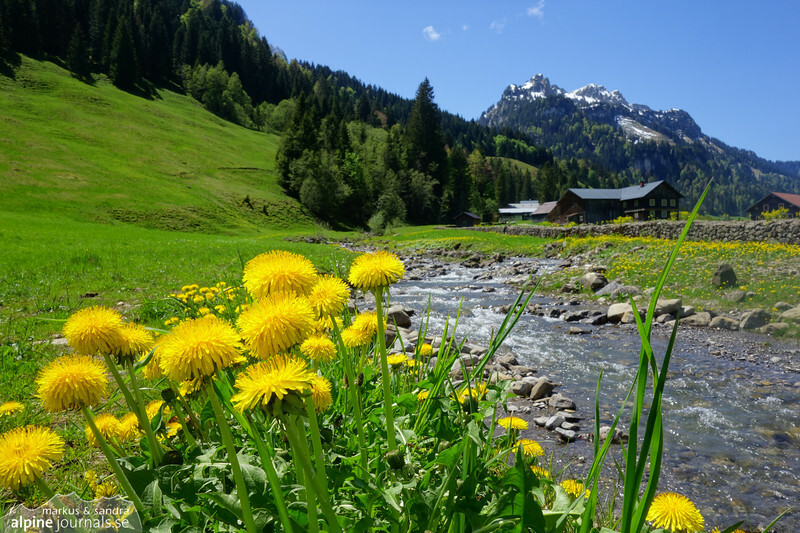 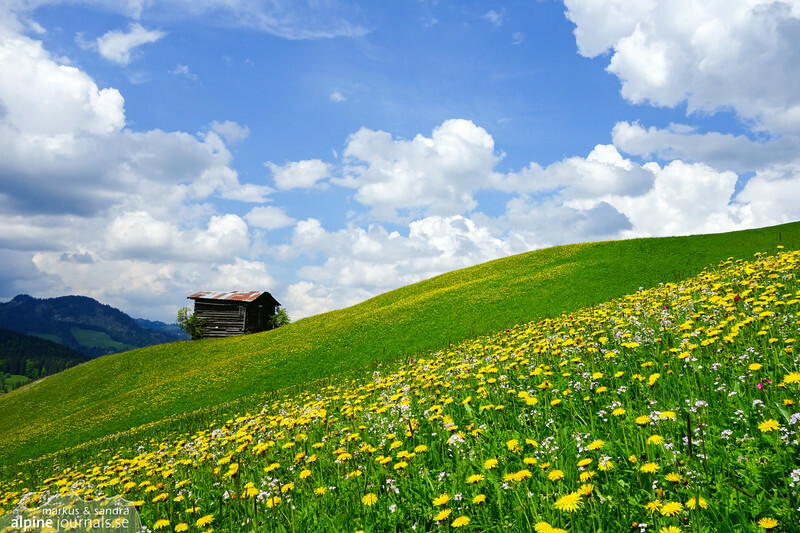 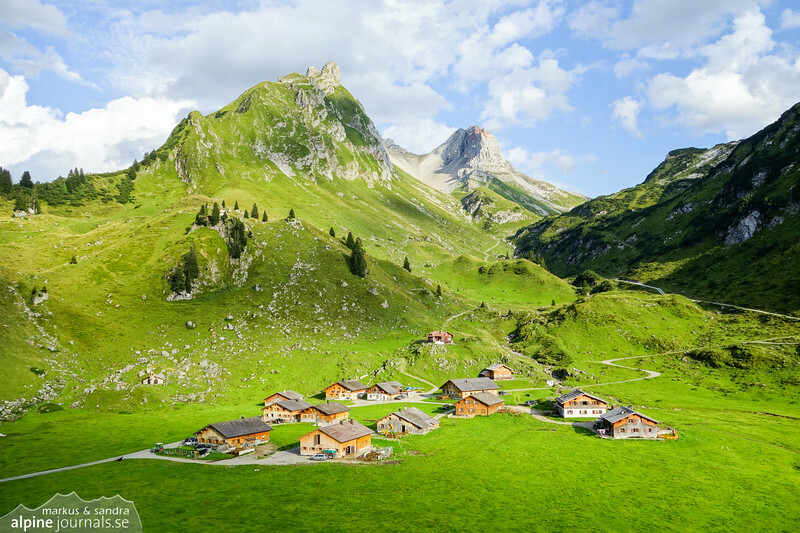 Idyllic pictures from the alps with meadows, mountains, water and blue skies. 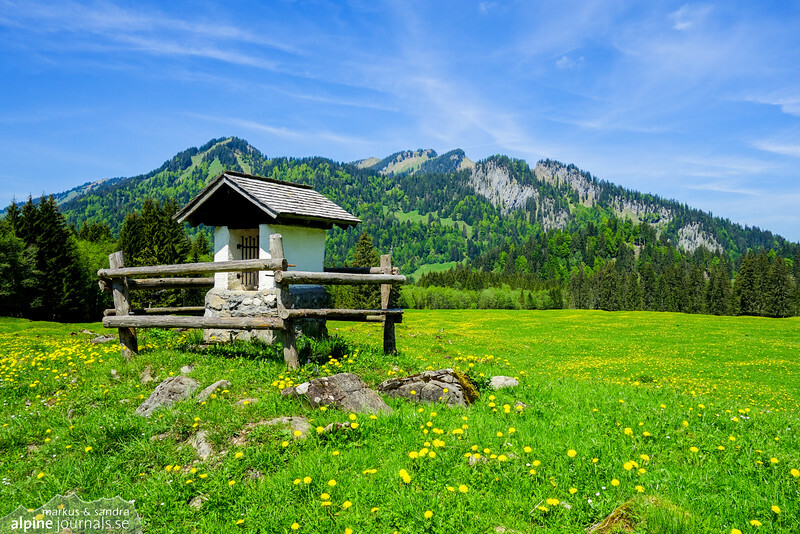 Summiteer! 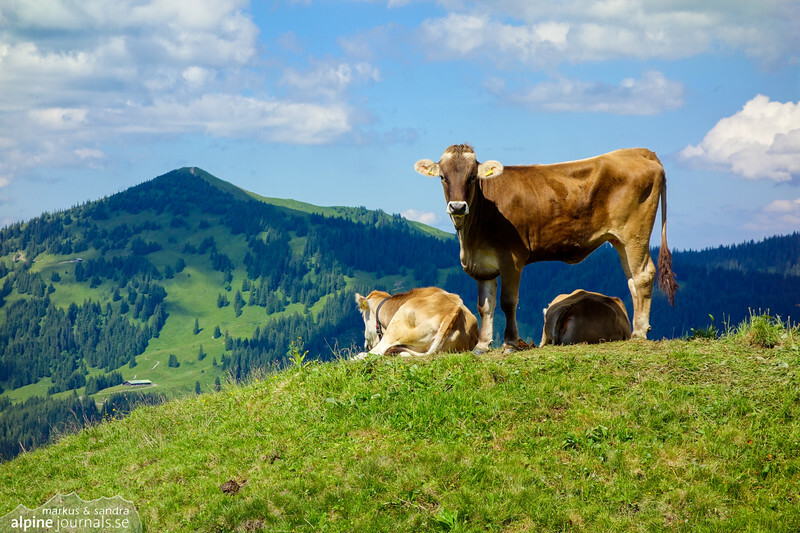 A happy cow proudly posing at Piesenkopf. 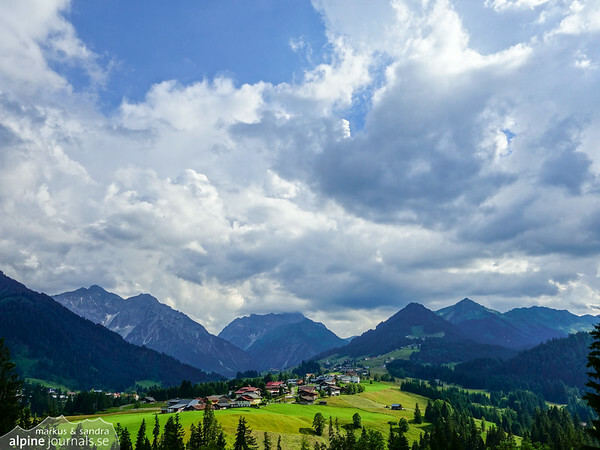 Signature mountains of Tannheim - Gimpel and Rote Flüh - under a summer cloud. 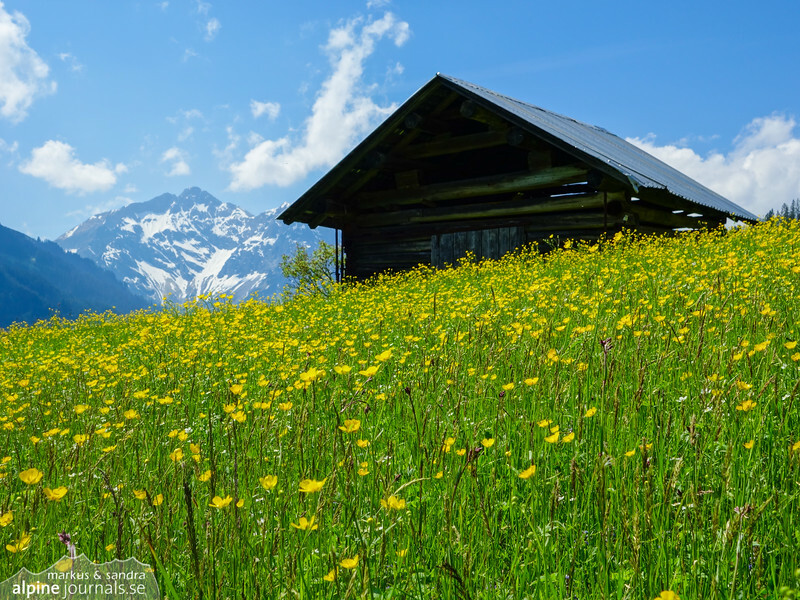 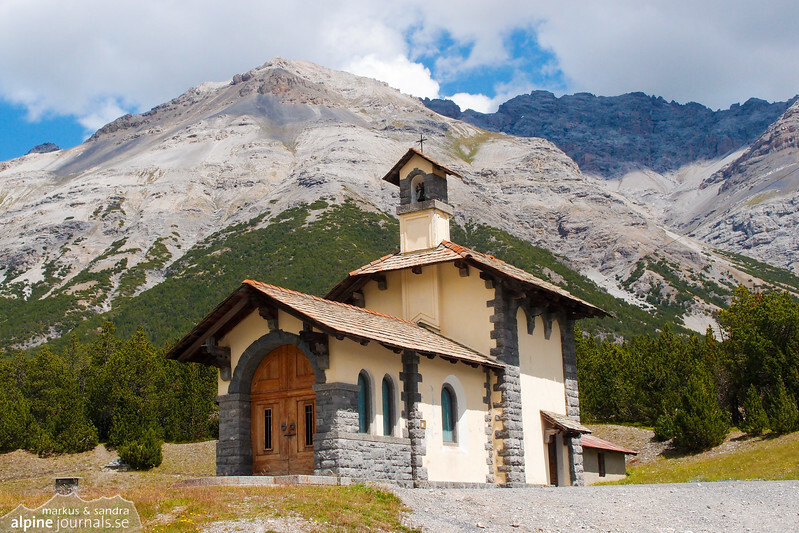 Alpine hut with mountains behind in summer. 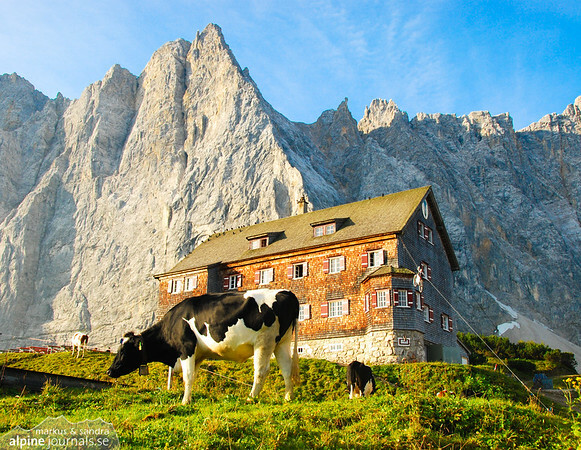 The cows are grazing just outside the hut with the Vomperkette mountains behind.